In a bucket transport system, the conveyor tracks ensure that the buckets are moved to the processing location as soon as they are de-stacked and filled with water. 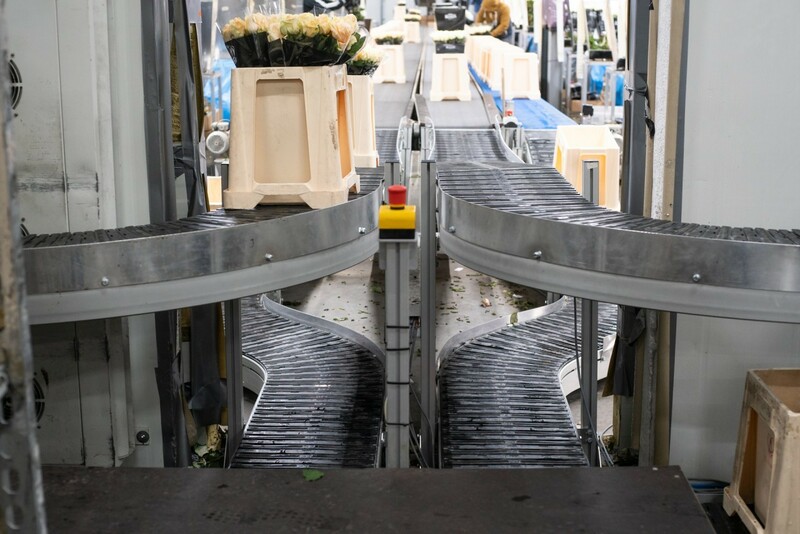 The bucket transport system delivered to Berg Roses consists of conveyor tracks with slats. The advantage of the slat tracks is that they allow bends to be made and height differences are bridged without any hard transitions. The required space is greatly limited due to the arrangement as shown in the video. Because the passage in the wall of the cold store has remained relatively narrow, substantial energy costs are ultimately saved.